So, I’ve had a post half-ready to go for more than two weeks now. I don’t suffer from writer’s block; can’t even say I have its cousin, blog block. (I’ve written several posts in my head, in addition to the one on paper.) I could tell you that other writing commitments have legitimately kept me “too busy”; family demands too. But these are excuses. So let me tell you what that languishing post was about. Each year near the anniversary of my father’s death (quite annoyingly taking place on July 4th, the symbolism not lost on me, or, I’m pretty sure, on him), I get swallowed up. Swallowed up in several ways, but most particularly, and most succinctly, in silence. A cloak falls over my metaphorical bird-cage, and I can’t speak. In part, I’m afraid I will be too maudlin, or, the flip side, too irreverent. I lose trust in my reactions and my perspective, my compass thrown off. Doesn’t this happen near the Bermuda Triangle? I remember being fascinated by this as a child—the mystical void; the rational world at a loss to explain loss (grief) and its reasons. I’m still attracted to such things—attempting to explain, what is hardly explicable. Certainly the subject of suicide falls into this box. Or, I want to say: this void. But when I began this post I wasn’t planning to dwell on the subject of silence—I’ll save that for another time—but instead its cousin, the desire to be seen. Which is really the desire not to be invisible. A gentleman by the name of Tarzan got me thinking about this. Let me explain. I often prefer to work in public spaces. I have my favorites. Sometimes, said spaces fill up with distractions, but most often my focus improves in the company of background activity. When distractions do interfere, I try to find them redeeming. Writing is isolating; to be reminded of the lives of others is a blessing. I really didn’t need this blessing this morning. But then in came Tarzan. Tarzan often frequents the neighborhoods around Union Square, a hub of activity. The area has been much gentrified in the last two decades; yet still it invites a diverse population. Tarzan is among the more stand-out citizens of the area. Tarzan is big: not just tall, which he is, but broad of shoulder and chest, his musculature enlarged, as you would expect from his name. Huge biceps, pecs like a movie superhero, chest bared to the world, much as though his shirt simply could not contain him. Some weeks I see Tarzan almost every day; some weeks not at all. I have not spoken to him. In all honesty, the thought has inspired the New Yorker’s equivalent of fear: bravado. The assured gait and I’m-too-busy expression, combined with the common sense to avoid the sort of proximity that might produce a need for either party to interact. Lately, Tarzan has been visiting, with greater frequency, my coffee shop, my second home. I like this second home because it bustles, yet often remains calm; people come and go, and I can stay; I feel anonymous, despite being known. There is frequently an unusual array of visitors, most of them equally, if not more, comfortable in this setting that manages to be simultaneously bourgeois and urban. I have arrived at the view that a methadone clinic must also be nearby, and several groups of regulars are here because of this. Needless to say, our lives are quite different. But I like that here we are, all sitting at the same communal table. It is humbling. And a reminder of the humanity, the struggles and the normalcy, of those we would consider different from ourselves. Tarzan is pretty easily the most standout of all of us, perhaps seconded by his saucy, take-no-prisoners, hyper-buff girlfriend, who comes in to read. Yes, she usually has a book with her. Yes, of course, I’ve looked, when I can, what it might be. Thick, hardcover, sometimes laminated as from a library, on several occasions something steamier than my usual fair: romance or erotica. But I digress. Tarzan left, off to look for his phone. The girlfriend returned. The blonde man reported his exchange with Tarzan to the girlfriend. Two new pieces of information emerged. The blonde man is homeless right now. (Oh! And, yeah, he knows Tarzan somehow. Fellow citizens of the street; well, sort of. Just wait.) And the girlfriend is not the girlfriend. Tarzan is her husband. The girlfriend, I mean wife, who by the way is wearing black short-shorts, is quite buff herself, and whose breasts are busting out of her bustier; no I am not looking. So, the wife, she leans onto the table, the seat next to me, to talk to the sassy, maybe methadone-dependent, woman across from me. This woman has several friends with her now, also regulars. And I keep busy not listening. (I have work to do!) Fully aware that if I start getting engaged I will have even more difficulty appearing not rude when I stare at my computer screen—really, I do need to stare at that screen, though the reasons have blurred. So, they get to talking. Then the sassy woman asks the woman on my other side, at the table’s head, where’d your purse go? And, indeed, her red purse, very recently sitting on the table next to my over-stuffed folder, is gone. How the f–k did that happen? I am equally puzzled. The purseless woman is sure the sassy woman has taken it, out to make a point. Everyone looks around, wonders, starts to worry. I look around too, the invisible shield further opened. All of us truly puzzled; well, almost all. Purseless woman, not unkindly, tells sassy woman that she’ll rip her ponytail off if she has it. Everyone is still remarkably calm. I’ve seen most of them more riled up about apparently far lesser problems: a presumed affront by the manager, say, who has seemed to unwittingly become a participant in some archetypal scolding mother, rebellious son dynamic; where the son has done good, but the mother remains all-powerful. Here, I may be exaggerating, but that’s the subtext anyway. And, look, there’s really no room to exaggerate anywhere else in this account. (I love NY!) So, sassy woman calmly suggests to purseless woman that purseless woman’s friend came in before and took it. Was there money in it?! No. Just cigarettes. So purseless woman goes outside and, indeed, visible through our window is her friend holding the red purse. Conversations continue. I email my babysitter. My screen barely moves. Tarzan’s wife explains why she’s worrying about Tarzan. I miss a few beats, but come to understand that Tarzan used to date so-and-so’s sister. This was seven or eight years ago, before the wife married Tarzan. 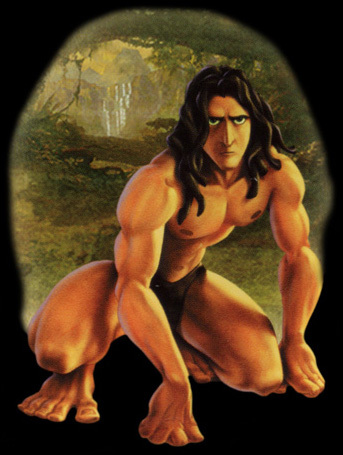 Tarzan’s not-yet-wife had a fiance, equally buff; Tarzan was her last fling. Turns out they were more than that. He broke up with his girlfriend; more abruptly than seems to have been in character. Now, turns out this girlfriend o.d.’ed. Here, I’m not sure if this is a new event, new news, or old news and ancient history. Doesn’t really matter. Tarzan feels bad; feels like he somehow played a role in this. When I hear about someone’s overdose, my brain can’t help but go to the question of suicide. Depression and drugs are no stranger. Some easy examples: Amy Whinehouse; Whitney Houston; Marilyn Monroe. Ambiguity accompanies excessive drug use; ambiguity accompanies suicide. Addiction goes hand-in-hand with those drugs. Questions of suicidal behavior (para-suicide) trail behind. So, here I am, right there with Tarzan and his fears, thinking how bad he is feeling inside about playing a role in someone’s despair, lamenting, mourning, along with him, this feeling of loss. Wondering what if. Tarzan, poor Tarzan. Growing more humanized by the minute. Tarzan’s wife says how he’s like that, a sweetheart, worrying about people, not wanting to hurt them. This is the man who has borrowed the name of an ape-man, strong and frightening, the man who on the street in months past has seemed to carry a wild, unpredictable menace, in large part by his sheer size. And turns out he’s a puppy dog when it comes to those he might have wronged. Of course, there’s more to it. Always, there’s more to it. Why does he need to be so strong? Hold that question. Now, back at the table, someone says how so-and-so (a different so-and-so) says Tarzan’s wife married Tarzan for his money. Yes, that’s right, his money. Let’s discuss. My tablemates don’t say this, but this is what happens. Yeah, that’s right! Tarzan’s wife laughs; she suggests, quite candidly, some other reasons she might have married him. And then she explains how she’s forty-years-old and she gets an allowance. The gall, I think, Tarzan gives her an allowance! Nope. Tarzan’s mother gives them an allowance. And they give her a grocery list; she buys the groceries. And so on. Yes, Tarzan, or his family, is rich, but he can’t touch the money. The silent participant, too obvious for Tarzan’s wife or sassy woman to need to articulate, is Drugs. Don’t know which ones. But, yes, it comes back, this is part of what made my body tense as Tarzan walked past; what led me, when possible, to change sidewalks. Not so much the muscles; but the awareness within the muscles, of hunger, of need, of intoxication, whether intoxicated or not. There is what we call, in rather different circumstances, muscle memory. The muscles, the body, the self: they remember. What they have had. What they want. What they fear. What they want to be. Shirt spread, muscles bulging: the force and mass of potential, trying to burst free. Of fear and need, trying to be strong. Tarzan is not a metaphor. He is real. Ok, take a breath here. I feel like I have revealed someone’s secrets. I will pretend you were at that communal table too. We all are. Doesn’t everyone need to be seen, just a little bit, somehow, somewhere? Who doesn’t want to feel strong? These past weeks I have been mulling over the need for solitude. Why do we need it? When do we need it? Does everyone need it? What do we even mean by solitude? What do I mean? Sometimes we stumble across something so obvious it catches us by surprise. Perhaps it is something we once knew but have lost track of. Perhaps it is recognition of something we’ve grown accustomed to existing below the surface, just out of reach of consciousness, just beyond words. We need words to make things visible, to make a sensation, a thought, communicable. This is obvious. And yet there is a path to what seems obvious, which it is easy to forget. Walking that path reminds us why something is important. 1) Given to careful thought; reflective. Engrossed in thought. 2) Having or showing heed for the well-being or happiness of others and a propensity for anticipating their needs or wishes. The definitions are distinct; and the circumstances can exist independently. And yet they each rely on the other. Like husband and wife; like parent and child (child and parent); like two sides of one’s self. If one is gone too long, the other suffers. I have lost track of whether it is a truism that a parent needs time to herself in order to look after others. Is this so obvious it no longer needs saying? Has it been said too much? And yet we forget. We need time to reflect, in order to reflect (back) what others need. This is not to say a parent needs (only) to go think about her children; but rather she needs time to think, to let the brain wander, in order to return to others. Of course this is true of writers. Perhaps this is why we write, because we need so much solitude, so much time for reflection; perhaps we need it in order to write. It’s the old chicken or the egg question. But writers are not unique in this, even if we employ it differently. In February, The New York Times Book Review ran a review of a book on introverts, Quiet: The Power of Introverts in a World that Can’t Stop Talking, by Susan Cain. (Now you can see how long I’ve been sitting on this post. Coverage has continued.) Judith Warner, the reviewer, in the end cared little for the book; she found it overbearing, perhaps even too heedful and laudatory of the introvert personality; the author overstating the embattlement of introverts in contemporary life. Warner’s discussion was engaging; and at least for this reader a reminder of things I’d forgotten. As a child, I not infrequently described myself as shy. I believed it; and yet I also understood that there was something inconsistent with this external descriptor when it came to my inner self. Though I often seemed quiet and withdrawn to those around me, I somewhere realized that this was not how I experienced myself on the inside. And indeed I was far less quiet with those who knew me well. I read voraciously until high school, when schoolwork and some tick of adolescence I still haven’t fully analyzed shunted books to the side too much; certainly they weren’t driven entirely away, but they were able to hold onto less space. I continued to be “shy” through college and into my twenties. Then my father died, when I was twenty-three, and something began to shift. Not suddenly. Grief may hit in one big wallop, at first, but the lasting changes it is capable of producing are more gradual. By my later twenties I had learned, through repetition, that a question about my master’s thesis, or later the book I was working on, or about my father—a question that would result in the word “suicide” emerging, brought out by me—wasn’t going to kill me with embarrassment or a surfeit of attention. Gradually I forgot I was shy. And then, gradually, I forgot too that I am an introvert. Introversion and shyness had grown synonymous for me. So, if not one, then not the other too. Since having children, I “beg, borrow, and steal” to find time for myself—which has become synonymous for me with time for writing. It took this random review about introverts (and therefore, Cain’s book) to remind me why I need this quiet time—and even to re-validate it for myself. People come in different stripes, as it were, with different quirks and needs. My stripe is introverted (is that a deep purple? a charcoal grey?). But even extroverts need a moment to catch their breath. It is sometimes annoying, even frustrating, to need to be by one’s self (a state which is actually possible with others around—while reading a book, while sitting in a café—but more difficult if those others are intimates rather than strangers). If we demand, or take, time without anyone, then it follows that we are not with each specific person who gives us pleasure in his presence. By now, we all know there simply is not enough time…so in allocating time we see and feel what we are not doing as painfully, sometimes even more painfully, as the pleasure with which we can engage in what we have chosen or been given. It is difficult to remember that thoughtfulness, in both senses, requires solitude; even more difficult to demand it. In order to look after others, to be considerate, we need time for reflection (time for self), time to think. The need for solitude feels selfish, un-valuable. When, in fact, it is invaluable. And not just for introverts. Hanif Kureishi makes a related argument in an Opinion piece for The New York Times, “The Art of Distraction“: sometimes we need to do one thing in order to do something else. I take issue with part of how Kureishi gets there—he slams Ritalin as an annihilator of thought; suggesting that if we kill the brain’s need to wander, we kill off creativity. While I believe wholeheartedly in the value of a wandering brain (off-topic is sometimes more on than we think), an inability to focus is not the same thing as allowing the mind to wander. Control can be wrested from the thinker such that intervention may return the ability to think, rather than remove it. Modern pharmacology, when used responsibly (dare I say thoughtfully), has the ability to save lives, both literally and figuratively, and to improve their quality, sometimes drastically. But back to the sound points in Kureishi’s piece. In the end, a person requires a method. He must be able to distinguish between creative and destructive distractions by the sort of taste they leave, whether they feel depleting or fulfilling. And this can work only if he is, as much as possible, in good communication with himself—if he is, as it were, on his own side…. I like to think of it as the family—or social—ecosystem. With one out of harmony (or, better yet, in), the others soon follow suit. Happy Memorial Day, day of remembering. This day of loss has become a marker of summer’s beginning. We associate summer with time of greater light, movement, rest from some of our cares. Inconsistent as these two meanings seem – day for remembering the dead (originally, and still most prevalently, veterans) and day for beginning vacation and time of light – they are less incongruous than they first appear. Remembering, in times of loss, is about sadness and grief; also it is about memories of joy, gifts of a person’s presence. This week I’ve been saddened by the losses of friends, death arriving too soon, in one case by suicide. I am reminded of how horrible and numbed those early days of grief are. I am reminded of the many phases that follow, moods shifting, sometimes too suddenly. And I am reminded that it truly does get easier; that we grow from hardship; that pleasures return; and that, even when some memories contain sadness, the act of remembering can in itself be cathartic, joyful, comforting. During this long weekend, may each of us find the activity, communion, or solitude we need. I’ve had my head in the sand as much as possible this month, a rather nice (and terribly necessary) place to be as a writer. But emerging for air—or simply to attend to surrounding noise—tends to create something akin to whiplash or vertigo. This was my experience this morning when I came across Letters (“Risking Death in War, and Back Home”) in the New York Times reacting to (supporting) an Op-Ed by Nicholas Kristof this past weekend drawing needed attention to issues of suicide among veterans. Head buried in sand (or paper), I missed Kristof’s valuable piece, “A Veteran’s Death, the Nation’s Shame.” While I don’t have time for a full reaction now, I want to at least draw attention to the article and a few of its points on suicide, post-traumatic stress disorder, and the (often ignored) costs of war, all subjects I’ve addressed here previously. For every soldier killed on the battlefield this year, about 25 veterans are dying by their own hands. A brief perusal of the comments (and there are many) following Kristof’s piece, shows gratitude for light shed on this shadowy subject, and, of course, some criticism of the handling of this or that, or the spotlight shone in a different direction than a particular reader wants to look or focus on. One point that stood out for me, is that these numbers likely include all veterans, not just those from the recent conflicts in Iraq and Afghanistan. If this is the case (which does seem likely), perhaps it should be made more clear; and yet it serves to illuminate and intensify the force of Kristof’s arguments, rather than diminish. Depression, anxiety, PTSD, and suicide are long-standing issues, reactions and complications of war that precede current conflicts. Novelist and playwright Kate Wenner, writing and producing material on this under-presented topic, had an excellent Opinion piece last month in the Times (“War is Brain-Damaging“) on traumatic brain injury as it relates to current conflicts in Iraq and Afghanistan, a toxic mix when combined with post-traumatic stress disorder, shedding light in particular on the tragic case of Staff Sergeant Robert Bales, accused of killing sixteen Afghan civilians, a story which has been much on my mind. These vets suffer from a particular kind of brain damage that results from repeated exposure to the concussive force of improvised explosive devices — I.E.D.’s — a regular event for troops traveling the roads in Iraq and Afghanistan. And then we all suffer. Mr. Khlomov pointed to the vacuum left by Soviet youth organizations like the Young Pioneers, which used to provide social structure for adolescents. Mr. Khlomov said Russian parents and teachers all too often dismiss teenagers when they express suicidal thoughts, treating such talk not as a cry for help, but as an attempt at manipulation. This further isolates young people, he said, reinforcing the conviction that no one will ever understand the way they feel. Russian media has been grappling with how to cover the topic, as they’re faced with “copycat” suicides. I’ve previously written about media guidelines for suicide coverage (along with coverage of football player Dave Duerson). My own take is similar to Mr. Khlomov’s above: we do harm by ignoring suicide and its precursors, but it needs to be clear that suicide is not a solution to a problem (depression, grief, feeling cornered and without choices). Suicide ends all choices. The underlying feelings and problems demand discussion in order to prevent the horrible loss, and wasted life, that suicide produces. The wounds that precede suicide only beget more wounds if left to isolation, pain, and silence. Preventive measures are essential. I’ll wrap up here with a few lines from Countries of Lost Things, the novel I’m editing (finishing, interminably working on, sick of, reveling in…), some of which immerses in Russia, as icon, as place of mystique and longing. But I was taken by the stone figure: a life-like woman, naked, one leg stepping onto a small box, a pedestal of sorts. Her body was smooth, well-curved, its solid expressiveness arresting. Maybe it came from being made of stone—her force and solidity were awesome. Her right hand was raised, her mouth half open, as though about to speak. I circled her, admiring the smoothness of the line of her waist, her buttocks, the detail of her spine, tendrils of hair near her neck. How did one do this? I heard David’s dry laugh off to the other side of the room. …. Secrets are the fertilizer for despair. Yes, these are some grains of the sand my head has been buried in. There are people we presume will always be there. This is something we seldom examine or think about; it just is. This morning when I picked up the paper and found those book-ended dates by Adrienne Rich’s name (1929-2012), my chest squeezed and I realized Rich was one of those people for me. I grew up around her presence, metaphoric, linguistic, once or twice actual. I thought she’d always be here. I acutely remember Gloria Steinem in my childhood living room, a guest speaker at the College of Wooster where my mother participated in founding the Women’s Studies Program. When I think of this period, the late ’70s and early ’80s, my memory jumps to Jim Turner, the father of my childhood best friend. Jim was my mother’s colleague, co-initiator of Wooster’s early dedication to gender studies. His death, from a surprise stroke or heart attack (portions of childhood recall are fickle), came as a view-turning shock just before I reached high school. Memory travels, finds loss. We forget and push away. Death, for the living, cannot remain too long in the foreground. Gloria Steinem, through the lens of decades, was out-sized. My memory of her exists as though in a pop-up bubble, vivid, exuberant, single-shot. My memory of Rich is fuzzier, yet there is solidity in its core, and an intense emotional range. On Lies, Secrets, and Silence, Rich’s essay collection spanning the years from 1966-1978, was at first just a title on the shelf when I was small. And yet words matter so much, the script of the spine surges back, emblazoned in memory. Decades later, and I have spent most of my adult life thinking about these three words—lies, secrets, silence—what lies beneath them. I have not met them in the same ways, not with the same purpose or direction, as Rich—she was a brilliant critic of politics, of gender relations and roles—and yet she has informed me deeply. She gave me courage, at unexpected moments. Lines of Adrienne Rich’s poems fed me as I embarked on my first novel. They told the character how she might dare; they told me how I might. She helped teach me how to dive into the wreck, because she had. Sometimes our wrecks felt almost as one—this is the beauty of poetry, so many readings and ways to find hidden glimpses of ourselves—and of course differences can be just as edifying. As Margalit Fox’s thoughtful obituary in today’s New York Times points out, in prose both direct and yet maintaining the scrim of evasiveness that suicide so loves to cling to, Rich’s husband killed himself. How odd, as I type this quote here, as I make the decision to include it, I feel a sense of shame, of guilt. Why bring this up? Really, must you mention her husband’s death, its gruesome coldness, the circumstances of which turn our eyes to Rich instead of to him? I don’t want to participate in this, in eyeing, wondering, conjecturing, oh, how might Rich’s new honesty with herself have pained her husband? How much guilt, how much anger, did she feel? But to avoid the subject would be to erase a pivotal experience that surely informed her work, even if obliquely. And a choice of silence here would also erase some of her gift—the courage she gave others, and even the incredible hold of silence, of secrecy. Margalit Fox’s obituary, a review of Rich’s life occasioned by her death, analyzes the poem “Diving into the Wreck” as through “the metaphor of a dive into dark, unfathomable waters to plumb the depths of women’s experiences.” Certainly she is not alone in this reading. Certainly it is true. And yet, the lens through which I have long imbibed this painful poem is that of suicide. Alfred Haskell Conrad, Rich’s husband, shot himself in 1970. Her collection, Diving into the Wreck, was published in 1973. Thinking again, about why and how both suicide and gender might here co-exist, I am reminded of how gender roles and love and loss are inter-twined with my father’s suicide, and how they might be within Rich’s wreck too. I feel greedy, taking, stealing this poem for myself, hanging on the coattails of its courage. But it was a needed friend as I explored my father’s life, as I swam in the waters of his death. Knowing that Rich had been there, in those depths—that she told me I was and could be too (“We are, I am, you are / by cowardice or courage”)—gave me permission to submerge, then helped me to emerge. And so it does not matter whether she thought of her husband’s suicide as she wrote. I suppose I wanted more, more lines, wisdom, shared experience. I suppose I imagined one day I would find it, seek it, receive it. Death makes us realize what has passed us by: what we have missed. What we will miss. 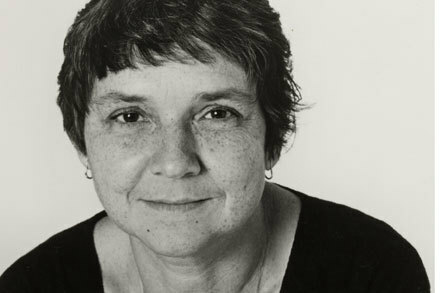 Adrienne Rich gave us so much. Her work will continue to feed readers in times of pain, joy, anger, hopelessness. Her life, her poetry, and her prose offer us hope, courage, a lens on activism and literature, a lens on love, its vicissitudes alongside its gifts—and hers. No one’s fated or doomed to love anyone. we move into and come to love. There was much bustle over in the UK last month, in the pages of The Guardian, in particular, with Telegraph readers jumping in too, about the release of Rachel Cusk’s new memoir, Aftermath: On Marriage and Separation, which was excerpted in both papers. Back in June (“Thoughts on reading, breathing, writing, and grief“), I wrote here about an earlier excerpt in Granta (titled “Aftermath,”at least some of which is the same as the recent selections; something that strikes me as both annoying and admirable). When the Granta piece was freshly out, I found Cusk’s account engaging, compelling, and deeply interesting, most especially because of the multitude of contradictions in her actions and beliefs, most of them acknowledged by her. In the newspapers, the readers’ comments have spent a great deal of time shredding her, assailing her “narcissism” and expressing abundant concern for her daughters and ex-husband, while showering a remarkable amount of vitriol on Cusk, a well-known literary writer on that side of the pond, though less so here. I have found this whole spectacle quite curious. The attacks, while occasionally about Cusk’s prose or narrative structure, have been for the most part extremely personal, condemning her actions and Cusk herself, as a mother and wife/ex-wife/girlfriend or partner. To me, this vitriol makes clear how raw, and interesting, her account is. People are angry at the person for writing about gender roles, gender relations, and about conflicting and inconsistent responses to them. (Who among us as has never been inconsistent? Particularly when it comes to matters as intimate as those brought on by family relationships.) These (newspaper) readers are angry at the woman for investigating herself—and in the process revealing something of (her) family life and therefore its participants. (I’m certain there are children in the world who are more in need of assistance, concern, even public-hand-holding, than Cusk’s. Even were one to consider books to be weapons—a dubious argument—children suffer from far worse. I don’t think we need a list here of the world’s evils surpassing over-publicity.) The fever-pitch of push-back suggests the book needed to be written. Why not engage with the content, of the life as well as the telling, rather than pass judgment on the individual who lived it? It’s a shame that publication means Cusk is slammed for sharing too much, when instead we might better see the inconsistencies around us, and in ourselves. Aftermath: On Marriage and Separation was released in the UK on March 1st and will be published in the States in August. At first glance, this appears to be a glass half-empty—look again, and there’s a glass half-full, a bit more yet waiting in the pitcher. I love an excuse to return to Anne of Green Gables. Montgomery’s books go on my list of memorable childhood pleasures, the kind with enough depth to carry more than just straight-forward happiness. Such books, the memories they create, don’t just tell us a story, they push and probe our boundaries and our sense of the world. I look forward to sharing this spunky (and thoughtful! more on this in the next post) heroine with my sons. More details available at the publisher’s website (Syracuse University Press) or on Amazon. http://bitingthemoon.com will be live soon. I had a great time at the last Pen Parentis literary salon (I always do! ), including a conversation with musician and novelist Suzzy Roche. I surely won’t do justice to the memory she recounted there, but, in brief, it involved a really moving story about watching a cow give birth, and thereafter watching the newborn calf stand. Part of what hit me so intimately about the story was the through-line it shared with a story my mother has told (which is included in her new memoir) about one of our cows (yup, as a small child we lived on a farm and had a handful of cows, go figure!) giving birth. Afterwards the cow ate the placenta, as cows do. Both stories, at their core, have to do with the intimacies of maternal connection and letting go; both also address single parenthood. Suzzy Roche’s new novel, Wayward Saints, takes on some of these themes too, along with grief, creative artistry and need. Also at Pen Parentis, a wonderful reading by Eleanor Henderson from her novel, Ten Thousand Saints (set in NYC’s East Village in the 1980s) and a gripping excerpt from Myfanwy Collins‘ debut novel, Echolocation, published by an intriguing new small press, Engine Books. Now that my mind is running through books and stories, I feel I could go on and on…but I’ll stop now. The next post has been awaiting its leap onto the net for a month (a month!) already, so you’ll hear something more from me soon…. Caitlin Flanagan has a new book out. When a writer of a certain standing (read: excellent agent and/or energy-filled editor and publicist) is about to publish (again or for the first time), her name begins to pop up, there and here and there, again. Ms. Flanagan is a writer I love to hate. Or hate to love. And with these contradictions, I have begun to suggest what addles me about her. Not her, but her writing. No, not her writing, but her. And yet it is a truism that we do not know a person because of her, or his, written work and the persona therein. Person aside, I am too-often galled by the absolutism of so many of Flanagan’s arguments and assertions. I am by temperament not a person of absolutes. (See above.) I see grey in almost everything—in fact the grey, for me, is the crux of humanity and literature, character and psychology both on and off the page. We may take decisive action, speak decisively, but what stands behind that decision or instinct is seldom black-and-white. In Flanagan’s first book, To Hell with All That: Loving and Loathing Our Inner Housewife, she gives us the wife as angelic nurturer of not only children but husband. I read the book in what I recall as a domestic cocoon when my first son was just over a year old, cold and grey outside, my Bosnia novel not coming together as I wished. I remember reading it in bed, and so I think it must have been when J. was sick that winter. With hindsight, the book was one of the thorns in my side that led to the rapid-writing of the “domestic” novel that has morphed and transformed in subsequent years, and which I am yet revising. Flanagan is a powerful writer, and an irksome one. In the essays popping up now, culled from, or thematically in sync with, her new book, Girl Land, she approaches girlhood as an enchanted child-world. Girlhood (for her a whole land) as she conceives it, is regrettably, even inevitably, broken, but idyllic at least in its inception. Now I am being reductive too—how easily the habit arrives in the context of polemic or critical essay. This month, having avidly (avidly, contradictions and shades of grey, indeed—and also with increasing irritation) read Flanagan’s essay in The Atlantic, “The Autumn of Joan Didion,” and her briefer piece for The New York Times Magazine’s “Lives” section, “The End of Girl Land,” both on the themes of girlhood, I now understand in starker terms that our childhoods ran parallel, in at least one significant respect—that of academia—and yet they were drastically different. Our growing-up-years were off by a decade, in real-time, and yet our experiences (and their rendering) diverged by a generation. So often Flanagan’s position reads as though stuck in a yet-idyllic version of the 1950s: whole family in-tact, working husband, supportive wife, children in the protective bubble of childhood. Flanagan is taken up by girlhood, intoxicated by and nostalgic for it. I am not even sure that I recall what girlhood is, certainly not this version. The 1970s and early ‘80s brought increased rates of divorce; cultural criticism; tampered-with bottles of Tylenol swept from drugstore shelves; and talk of hidden dangers in Halloween candy, even apples, not in the form of sugar-frenzy, but the lurking malevolence of other adults. Vans could pull up, a door opening with a stranger waiting to steal away a child. Surely I am exaggerating. Yet how easily all of this returns, these memories far more present than the tickling grass and sunshine of the farm where my childhood began. The idyll yet unbroken? (My own parents, both professors, like Flanagan’s father, separated and divorced when I was four. Early days of marriage’s ‘new wave.’) But even in the heyday of “family values” and childhood security, the 1950s, there were grown-ups who fought, tension lurking, for some beneath the surface, skirted or sublimated, for others right there in front of them. It is with this for anyone that my scalp begins to tingle and an old amalgam of anger, frustration, annoyance and righteousness begins to percolate. Flanagan has described a particular with tender precision, then gone on to make it universal, not by virtue of an emotion or reaction created in the reader (among the finest of abilities a narrative writer can possess), but through statement of supposed fact. Scene has become polemic. And yet, immediately following this frustrating collision of effective description with preaching mono-vision—drawing boundaries as though forming an elite club of experience—Flanagan goes on with such beautiful simplicity to tell us of a memory of her mother (a nesting doll of memories) that in its particularity and brevity puts us right there with her and her grief, not a fresh grief but the poignant loss that can pursue us for the balance of our lives. One experience becomes capable of drawing up a whole array of related emotions and experiences, not only hers, but our own. Here, one person’s particulars become another’s not through blunt assertion, but through the nuances of carefully honed craft, and the intense intimacy created through honesty, first with one’s self. I can’t help but wonder if Flanagan’s new book might not be a lengthy mourning for her mother, a love letter to the deceased, and if perhaps her first book (that paean to the “inner housewife”) might have been performing a similar task. After I began this post (yes, things proceed slowly here in parent-writer-land), The New York Times Book Review ran a review, in which reviewer Emma Gilbey Keller notes that “real girls are absent from ‘Girl Land.’ And so is their energy.” Indeed, we are visiting fantasy. We are inhabiting loss. Let’s jump for a moment to the album of so many feminist daughters of the 1970s, “Free to Be You and Me.” Remember? There is a song precisely about this—Girl Land—complete with capitalized significance. But this is a song filled with eerie carnival music and irony. Girl Land is confining, a jail keeping girls from the world—in all its joys, if also its complications—and we might yet break free. Welcome to Girl Land, my good little girls! Admission’s a wink and a toss of your curls. To be losing the trees you’re forbidden to climb. Where good little girls pick up after the boys! So come on in. Look about. Funny, but this is the writer’s impulse, for solitude, for retreat into worlds of the mind, invented or un-ironed from fact, and, yes, in order to write, there must be solitude. Rather than permit a professional (likely personal too, why else write? ; while retreating from the world may be necessary for craft, it is also fraught) obligation and necessity, Flanagan has relegated not only her own need—to put thoughts into words with eloquence and then share them—but also Didion’s, to the land of childhood. Ms. Flanagan, please, it’s time to let yourself out. Must women, particularly mothers, fear their own professional needs and urges, infantilize themselves and their careers? Girl Land need not be a prison, in reality or in memory. And grief, painful as it is, need not be its own new jail. Adults have desires, they have emotions, some write. Happy holidays, everyone! I’ve been consumed again by domesticity over the written word the past few weeks. (Is this a bi-annual event?) But amidst the Thanksgiving feast and Hanukkah festivities and upcoming Christmas celebrations, I’ve been thinking a lot about memory and identity. Some of this thinking seems to be arriving in the form of baking. Not my father’s Hützelbrot or Stollen, not my mother’s cookies (I can still enjoy those with her! ), and not Chanukah cookies per se. Though I have the cookie cutters (dreidel, 6-pointed star, menorah), I have shied away from the tedium of rolling out dough. Instead, I’ve had my boys sorting M&M’s by color, segregating the red from the green. Blues are in scarce supply (most common, I can now tell you, in the dark chocolate variety), and ridiculously expensive if purchased separately. Christmas is everywhere, even in the form of M&M’s! And Christmas is the holiday of my childhood, some memories pleasant, others more subdued or complicated. Now, we light the candles for the eight nights of Chanukah…and we celebrate Christmas with my family too. Identity in transition (the whys too complicated and tangled to unravel in the short space here). Just a housewife, just a housewife… Let’s go clean it up! As you can see, I am missing my desk, the manuscript keening for its final ministrations. And yet I have taken pleasure in this holiday flurry. It is satisfying to draw upon and remember how we are connected to people, whether through our children’s schools, important organizations in our lives (Temple, church, groups of many kinds), longstanding friendships, and of course family, far and near. By virtue of the sometimes harried busyness, I am reminded of how valuable and important those connections are. So, while my holiday cards still loom (dangling over my head—where I should be reaching for them now, instead of typing), the cards feel like a welcome task. Even a too-brief hello and photo sent to those we may talk to or see too little serves to keep us in touch. The phrase, Better late than never comes to mind. This has been a “just-in-time” kind of week. Or year. I don’t believe in resolutions—they are too easily promises broken—but I do like the idea of thinking back, remembering, in all its complications, and looking forward, thinking about what might be different, what will stay the same (the good and less so), and what pleasures lie ahead. I love January, for the calm it offers after the hectic yet satisfying end-of-year bustle, and for the return to my writing desk (in this case metaphorical, since the actual desk is too cluttered to participate in any hopeful image of the near-future). I think we need this balance (festivities-work; social-solitary). Though it so often feels precarious, tipping too far this way, too far that, it gives life the fullness it deserves. No one said happiness wouldn’t be messy, even unclear. Sometimes we need to throw ourselves in, not knowing quite where or why (those M&M cookies, for example), and sometimes we need to step back (a cup of coffee, a blog post, a quiet moment with ourselves or a good book) to recognize it. A few weeks ago, someone recommended the book Spectral Evidence to me, which, among other things, includes World War II photos from the Łódź Ghetto, the Nazis’ Jewish quarter in this major Polish city. I wrote the book title down on the front page of the novel manuscript I am revising, Countries of Lost Things. I have been eschewing thoughts for this blog in order to focus on said revisions. But wait, sometimes a stray thought (yes, a moment of procrastination) starts off a journey through familiar territory, but offers new sights, sites, and insights. Traumatic memory, like the camera, freezes the moment and removes it from the forward motion of linear time. Instead of sensational images, as the title might suggest, Baer uses seemingly commonplace photographs to illustrate his ideas, thus placing the viewer in the role of witness instead of innocent onlooker. Google proffered other interesting results. Baer’s ghost anthology, on memory, trauma, the Holocaust, took me to a professor I knew from graduate school, Jared Stark, whose recent publications include “Suicide After Auschwitz” in The Yale Journal of Criticism and “After the Witness,” on Holocaust testimonies at Yale (co-authored with Michael Rothberg) in the journal History and Memory. Back in the late ‘90s (god that now sounds distant), Professor Stark, then teaching at NYU, had somehow heard that I was writing a thesis on suicide and suicide narratives, also at NYU. Professor Stark, co-author of the haunting book No Common Place: The Holocaust Testimony of Alina Bacall-Zwirn, was teaching a class on suicide narratives and asked me to guest lecture. I did. The students’ responses suggested I had interesting things to say. But I felt like a fraud. Why? I wonder now. And yet, somewhere inside I know. There I sat, speaking of suicide and survivors’ grief as something abstract, even though I was, in part, speaking of my own experience with the subject, even though I read from a memoir portion included in said thesis, recounting parts of my father’s experience, his death and its aftermath. I spoke of emotion. It is likely the narrative I shared even conveyed emotion. But I did not show emotion. At least this is how I remember it now. It was so difficult to speak of—suicide. Still, it is. And yet I do it with frequency, with ease. Wieviorka, I saw, had written another book, Auschwitz Explained to My Child. Circling the same themes. Wieviorka’s daughter, the interlocutor of the book, was thirteen. My son is just turning six. Vast differences in emotional and intellectual maturity span the distance between them. And yet here was the other project on my mind, How Did Dziadek Get Around the Bombs, the result of the interviews my son J and I undertook with his grandfather. Back to Countries of Lost Things, the narrative I set out to plunge into as Spectral Evidence lured me away. Thinking of a character’s loss (David in Countries of Lost Things), thinking of a Holocaust survivor (Miriam, his mother) and suicide (a recurring spectre in the book), I had somehow stumbled across these same themes in a literary cyber-world; my own memories intertwined with them. Echoing questions: How does one bear witness? How do we remember, as individuals? How does history grasp, hold, contain and extend the past?—a too-simple word standing in for events and memory…. Memory is so much larger than its parts. Wieviorka’s thirteen-year-old daughter saw the blue number etched onto her mother’s friend’s arm. In an instant, something new sunk in. In an instant, so much became unclear and incomprehensible. There are events, when we try to explain, they become all the more inexplicable. And yet we continue to try. We must. And in the trying, we understand the circle of understanding, in which what we understand is that some things cannot be understood and yet we must understand. When J’s grandfather gets back from Poland, I told myself, we will do another interview. And then he became ill. Some time passes; and now he is feeling better. I am reminded: our expectations rest on such frailty. Memory starts as something minute and individual. Private, easily inconsequential. And yet memory forms what was, and what was forms memory. We need it to survive. “While you were out last night, I saw a piece of paper, and it was very sad. And then it blew away,” my three-year-old reported the week before last. At first, I was not quite alarmed but certainly taken aback—how had G known that so much of my paper involves sadness (loss, grief, war)? My son is clairvoyant! No, this was not a precocious 5a.m. dream, not quite. Once dawn had arrived, my husband informed me that in fact our little one truly had seen a sheet of paper blowing about outside the evening before. And it doesn’t take much child psychology to figure out that the sadness must have been my son’s. School was underway and mommy was out too often in the evening. He missed me. And yet, I can’t help but be distracted by the attribution of sadness to the piece of paper, blowing so poetically at dusk. A few evenings earlier my older son and I had conducted an interview of the boys’ grandfather, focusing on the years of World War II when he was a young boy, five-and-a-half at its start, as my firstborn is now, in Poland. G, the younger, listened in on some of this, though I doubt he took much in, except for the mood—let’s call it curious solemnity—which he is quite adept at extracting. A week before this, I had been to an absorbing reading by Anna Solomon from her debut novel, The Little Bride, at The Tenement Museum on Manhattan’s Lower East Side, a neighborhood rich with immigrant history. Passages from the novel were accompanied by original compositions by musician Clare Burson on guitar and violin (one of G’s favorite instruments, which he hopes one day—rather soon!—to play). Music for a novel, this was a brilliant idea, and here beautifully executed. Anna Solomon, who I had heard read from a gripping short story a year earlier (at a Pen Parentis reading), in The Little Bride, tells the story of Minna Losk, a Jewish Russian mail order bride in the 1880s, sent not to New York or Chicago, but to South Dakota, only sixteen and set adrift in pioneer country, a Jewish emigrée with a much older husband-to-be. Solomon’s writing is assured and captivating; I look forward to consuming the whole book. Clare Burson composed original music for the story, the score haunting, the words of the novel, the lyrics of the songs and their music, enhanced each other, deepening both. So, what about my sons? Of course they did not accompany me that evening. But the next day, eager to listen to an earlier CD of Clare Burson’s work, Silver and Ash, in which she narrates through song her family losses and the story of her eighteen-year-old grandmother’s departure from Germany in 1938 (in a strange coincidence, closely mirroring a character in my ‘on-hold’ novel, Down the Street a Building Burned), I explained to my boys in rough detail how I had spent the previous evening. Music telling a story. Here, with Silver and Ash, the music would tell a story too, a grandparent emigrating as World War II approached. They were willing to listen, and able to enjoy the music, the lyrics as yet impenetrable to their young minds and ears. My sons are growing up with Jewish traditions, Jewish holidays, a sense of themselves as Jews. J, the older, feels this with particular force, that he is Jewish, though what that means for him is still forming. The word Holocaust is not in their vocabulary. Like suicide, I am leery of its entry. Once this kind of knowledge, of human darkness, of the incomprehensible, has been received, it cannot be taken back. Comprehension will accrue gradually. I want them to understand that certain things have gravitas; but I do not want them to feel the weight of that gravitas too soon. Truth is partial. But here is World War II on our doorstep. I had put it there a few weeks earlier. Bombs. Bombs, bombs, bombs. Soon after J finally acquired the word gun, an item I had rather deliberately kept from him, with surprising success, until almost age four (undone by our shared love of stories, in the form of Little House on the Prairie—those pioneers again), some conception of a bomb arrived as well. How exciting it is to a young boy to alight upon something that can destroy and cause chaos—no great malevolency intended in preschool eyes—much like the havoc it is such fun to wreak after a block construction has gone up. What next? Bring it down! Tumbling cubes and rectangles, what amazing noise and commotion! What power. Of course, this is the power to destroy. A heady concept. For adults as well as children. Here comes the gravitas. Visiting London this summer, bomb after bomb in J’s innocent speech, I grew weary of this casualness with something so serious. Tentatively, we began to speak of his grandfather, his dziadek (ja-dek), who he sees weekly except when dziadek is visiting Poland. Here we were in Europe, physically (viscerally) affected by the war in a way America was not (is not), and I began to speak of the bombing of Warsaw, when dziadek was five-and-a-half, just like J. No, J wasn’t traumatized, thank god. Still curious, his curiousity shifted, deepened slightly, with this new intake of information. Now and then we returned to the subject, especially when visiting Warsaw a week later, seeing the Old Town, speaking of its replacement after the war. It is not the same, cannot be exactly the same. But buildings can be rebuilt, even bricks of a Medieval wall replaced. And dziadek survived the war. Here was our point of entry, our main character alive. And so, not quite a month later, inspired by my night-time foray to hear Anna Solomon and Clare Burson, J was suggesting we write a song about dziadek and the war. How did dziadek survive the bombs? How did he get to Łodz (Woodj)? The interviews I had been thinking about embarking upon with my father-in-law began the following weekend at J’s behest. I wrote the story down within a few days, the first urge I’ve had to pen anything for children. J’s voice seemed to tell it, and to tell me how to talk about things that touch on the unspeakable. J wants the interviews to continue. Are these adventures, are they history, are they stories? At age five it hardly matters. Stories are part of how we learn about the world. They teach us what is true, even when they are not. And even true stories change in the telling. And here was three-year-old G seeing sadness in a sheet of paper lisping in the wind. Of course this is metaphor, not truth. Truth—comprehension—comes gradually. I think I am learning as much as my children with these exchanges; each of us still unfurling what we have taken in. As I finished that last paragraph (composing in my office away from home, my local coffee shop), a friend handed me a novel she had recommended, and I read the first paragraph—about memory and slow-forming understanding, about boyhood, the terrors of history, about mysteries and childhood. What do we take in? In memoir and in fiction, we find the intersections of history. History being something that continues, generation to generation—a grandfather, his grandson—strands intertwined, sometimes unraveling, then pieced together again, again, again. My older son started a new school in May. This was a difficult decision, changing schools so late in the year, but one we made quite deliberately in navigating the New York City school system and the emerging needs of our own child. With some trepidation, we had sought a new apartment, trucking our boxes and boxes of books, all the detritus of our lives and ourselves, a few blocks to make our school choice attainable. And yet, our move did not accomplish this with certainty. Were the school to fill up, we might not gain a spot for September. By enrolling our son before the end of the current school year, we ensured his placement for the coming one. A few days before our son would begin in his new classroom, registration successfully completed, my husband answered a knock at the door. In the boys’ room, I heard nothing, save the hum of the white-noise machine, the shifts of my sons’ voices and the tune of the lullaby I sang them in the dark, the blue-hued nightlight only faintly aglow atop the dresser in the corner. My younger one raised a ruckus, revving up his engine in those final minutes before bed, as I tucked in my elder, his eyes already heavy with sleep. The little one, for reasons of convenience, still slept in a crib, which he deftly climbed in and out of more quickly than any adult could shift him. Our stories done, he did not want to give over to stillness, though his sleep is angelic and deep once he finally capitulates. My five-year-old already snug beneath his duvet, I chastised his three-year-old brother in the almost-dark, when the door opened, casting light and strangeness into the bed-ready room. My husband stood behind a woman, her small frame partially blocking the light of the living room pursuing them down the short stretch of dark hall. I straightened myself from my angel-hellion, resisting the inevitable by prostrating himself on the floor near his brother’s bed, and moved to the doorway, maternal instinct prepared to block the passageway. I felt immediately a sense of intrusion, combined with confusion and concern. We were in a strange new land if a stranger could stand in the doorway at bedtime, breaking our darkened solitude. A mother and her children at bedtime (even with one child protesting, a brief and futile act) are like one being, their bodies attuned, drifting again closer to each other as sleep approaches. This is how I feel; quite likely it is similar for fathers, even for grandparents, I don’t know. And yet, when I think about the sensations of this time of day, a last act of active parenting for the evening—one which I often think I will hand off to their father, but then usually do not, for there is something precious about this synchronized slowing down—I think of the feeling of having them again within my body, a visceral memory, an irrecoverable experience, and yet simultaneously an experience that flashes back with surprising, erratic regularity. And here stood this woman, diminutive, a smile on her face, who I could not help thinking of as some kind of dangerous trickster. Her teeth were embattled, several missing, and the smile seemed misplaced. Not for want of the departed teeth, but in the context of her visit. She had arrived to make sure my children—specifically my oldest son—was indeed sleeping in his bed, at this new address, which we had so boldly moved into, a financial stretch, and apparently one of chutzpah as well. My husband seemed oddly congenial, I noted through my slow-moving brain, my mind still trapped in the world of my children’s soon-to-sleep bodies. When he offered to turn on the light, my body recoiled, inside, and yet externally I remained strangely submissive. Watchful, I tried to find the rabbit hole we must have fallen down, and I wondered was this Kafka, Beckett, or Grimms? Without thinking, my mind retrieved the sensations, though not all the stories, and not all the sense, of the German fairy tales my father read so mesmerizingly to my sister and me as children; he the expert on Märchen, masks and doubles, on different ways of seeing disruption and danger, though not able to deter it for himself. I scanned my brain for what story had taken over my boys’ room. Where was the paradigm, the literary map that would help me figure out how to behave, what to believe, and how to comprehend whether an intrusion into sleepy-time entailed some primitive danger? It did not. And yet something else lurked, an unease, confusion and reversals of a different sort. When I think about my son’s aversion to the written word (see “Mysteries of childhood—avid reader, cannot read”), to interpreting, scanning, imbibing written information himself (is it temporary? is something deeper, more complex going on? ), I am looking for a map too, encountering a new danger, still unsure of its reality. Another rabbit hole. It was unexpected, only gradually visible, and yet I had already fallen in. He loves stories, loves to hear new information; even when I am speaking, telling him about something we have done in the past or might do in the future. If I pause, he rushes in, the expression on his face intent, urgent: “Read to me,” he says. His desire is intense and real, but reading is auditory, for him, not visual. Even speaking is “reading.” His trajectory is, will be, atypical. I have come this far. And now, barely understanding this (something unimaginable a few years earlier), what might that trajectory be? I would add emotions too, sensations that layer one atop the other like silt, like layers of earth. We dig; we sift. Sometimes, we are glad for the distance from the top to the center—glad our lives have depth. Sometimes it takes a while to find the depths, to test them and grow comfortable near them. I remember long stroller walks, tracing paths, routes of memory, making new ones, my son a baby, a toddler, a boy. We talked and talked. He talked. He made me, someone who loved solitude and quiet (who still does), a person who could speak on and on. I needed to help him to understand the world, question after question. We learned things together (we still do); and I was surprised how much I knew. My knowledge, my memories, shifted shape, acclimatizing themselves to a two-year-old brain, then three, and so on. Already he was formed; and he was and is still forming. I remember the seed then, the small buds and tiny leaves; I marvel at the young tree now and lean forward imagining the different shapes he will become, wanting to help, to feed and water with love and information and advice, to prune and help him to thrive. I change with him. Each of his stages, the memories I attach to them, harken also to memories of myself. What I thought, what I dreamed, what I feared or yearned for. For him and for me. As in that night room, sleep beckoning, there are parts of him I cannot separate, segregate, from who I am. And yet he is entirely individual. Individuated and his own. Contradictions. He will have memories that contradict mine. While I try to understand my son—try to understand his difficulties alongside his strengths—I struggle to understand myself. I am a writer and reader—as fundamentally as the color of my eyes—how did I become this, who I am? Think of genes, think of memory and history, think of childhood and books and experiences. My son contains some of the same—some of the sum of me, by example and here-say and genetics and stories—and much that is his own. Maybe sometimes it’s enough to take pleasure in the dark, that space of in-between, secure and mysterious, known and unknown. We find comfort; intruders are not as perilous as they may first appear; and slowly we find ways to see. Clusters of letters begin to emerge as words.